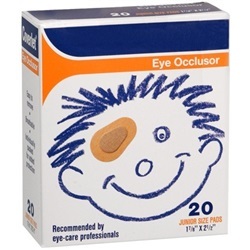 Eye Patches - Fabric 1.875" X 2.5"
Coverlet Eye Occlusors have a specially constructed pad for more effective occlusion therapy, a light weight elastic cloth for comfort and a quality adhesive for secure fit. Easy to remove. Breathable. Individually packed for added protection. 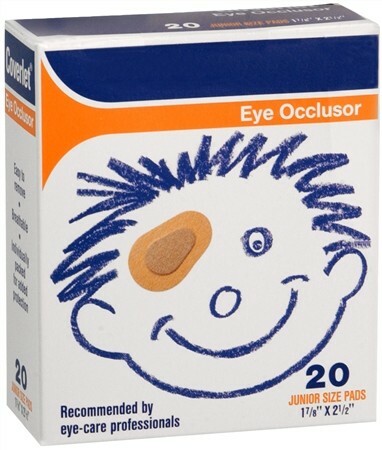 These junior eye shield bandages measure 1.875" X 2.5" and contain Latex. Comes in a box of 20.